Summer is coming! 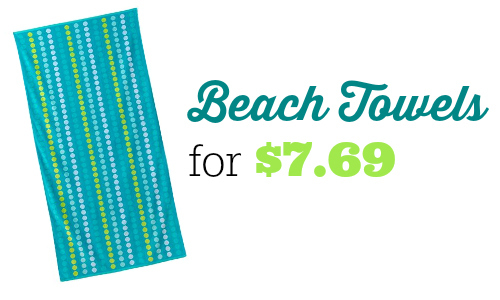 Get ready with a great deal on beach towels at Kohl’s. Use new Kohl’s coupons to get them for as low as $7.69. The beach towels are normally $25, so this is a great deal. Shipping starts at $5.95 or is FREE on orders $75+.